Such a lovely morning here . . . 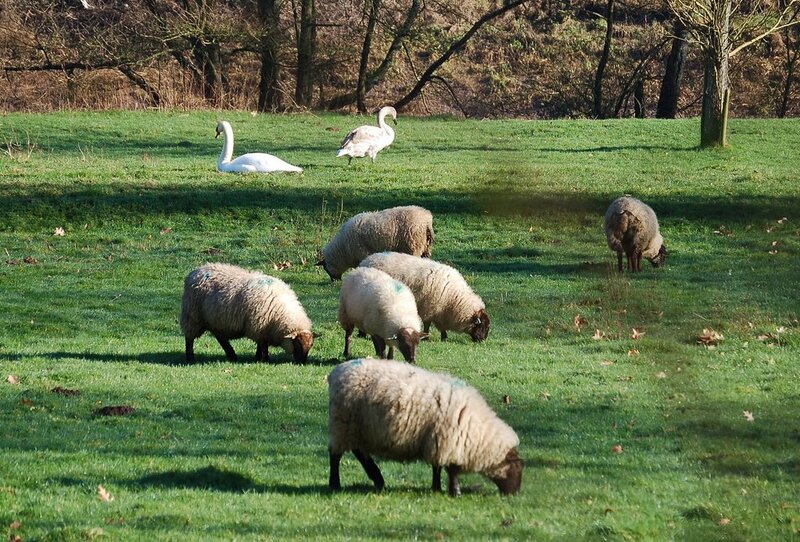 I thought it would be fun to take a photograph (to be entitled “Sheep and swans may safely graze”) to point out the contrast between what I am doing and what dear, wonderful Frances is doing on her trip to London and the Royal Academy (see below). In fact, I know she is having a great (though exhausting) time and meeting lots of interesting people. Having bagged that one I suddenly became aware of developments which lead to this . . . 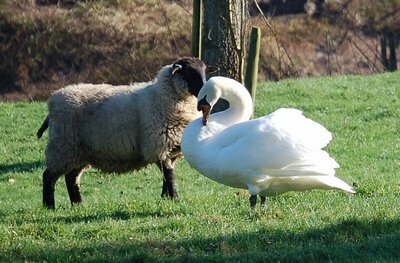 I had expected a bit of a quarrel but there was none. The sheep’s ‘interest’ is clearly real but I could not begin to divine its nature. The swan’s ridiculously coy pose must, I feel, be down simply to the moment of shutter capture!